The study of over 800,000 Scottish schoolchildren found that 8.9% of those conceived between January and March had learning disabilities, compared to 7.6% of those conceived between July and September. The discrepancy has been attributed to the reduced exposure to sunlight that pregnant women receive during the darker winter months in the UK. The resultant vitamin D deficiency would impact on the baby’s brain development during the early stages of pregnancy, say scientists, increasing the likelihood of autism, intellectual difficulties, and learning problems such as dyslexia. The research was published in the American Journal of Epidemiology and led by experts from the University of Glasgow in collaboration with the University of Cambridge, the NHS and the Scottish Government. 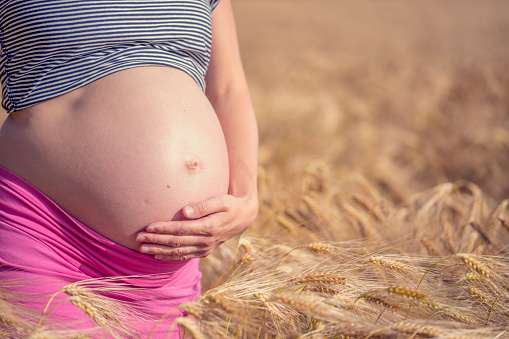 It comes a month after the Government advised everyone in the UK to consider taking vitamin D supplements, in what is an extension of guidelines issued to pregnant women in 2012; the children in the study, however, were born prior to this date. Experts say that Brits do not absorb enough sunlight during the shorter days of winter to produce the recommended daily level of vitamin D (10 micrograms). Professor Gordon Smith, head of the department of obstetrics and gynaecology at Cambridge, said: “If vitamin D levels do indeed explain the seasonal fluctuations observed in this study, we would hope that widespread compliance with the advice would lead to loss of this variation, and would have a downward effect on overall rates of special educational needs. Vitamin D is mainly obtained from exposure to sunlight, but the nutrient can also be found in food sources such as fish oil, egg yolks and cheese. As well as the benefits to babies in the womb, vitamin D also plays a significant role in maintaining healthy bones, teeth and muscles, and has been proven to combat conditions such as cancer, asthma and type 2 diabetes.